The Hamburger emoji crisis was an unfortunate incident for Google when the giant was forced to reconsider the placing of cheese in the burger. The hype even reached to the Google CEO Sundar Pichai and he assured to take the issue as the top priority. After that much-hyped Hamburger issue got resolved, it’s now beer emoji for Google that has again ignited the debate. 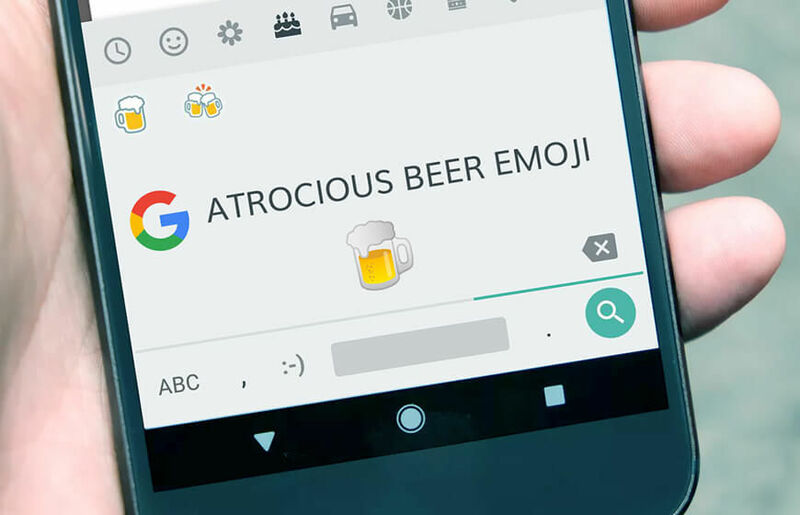 Google’s Beer emoji features a half-empty mug with foam at the top. The image thus sends the confusing message to the users and they are not refraining themselves to comment on the same. The thread of comments includes a number of messages such as doesn’t Google thinks we (users) deserve full glasses of beer? Which bartender fills a half glass of beer and what kind of foam is able to float on the top of a half-filled beer mug. The emoji was probably a mistake by the giant, which Google has promised to resolve. Fortunately, Google has replaced the half-filled mug with a full glass of beer making it easy for users to invite their friends for a drink with a glassful of beer emoji. Google has updated the beer emoji but it will be made available for the users only after it releases the Android 8.1 version. Until then, users can only wait to get their glassful of the beer mug. We live in a world where emojis are all that express the emotions we feel. For users, it is very much important to reflect the true emotions. In case, the emotions are placed wrongly, it may hurt the meaning that we need to impart to others. The recent Hamburger and beer emoji mistake is a fine example that reminds everyone can commit a mistake even if it is Google! The emojis have been changed to Android 8.1 developer preview 2. The version has official APIs, bug fixes, and more security patches. It is worth mentioning that Android 8.1 developer preview is also the last preview of the OS version for developers before Google reveals the consumer version. The final version is scheduled to arrive in December.